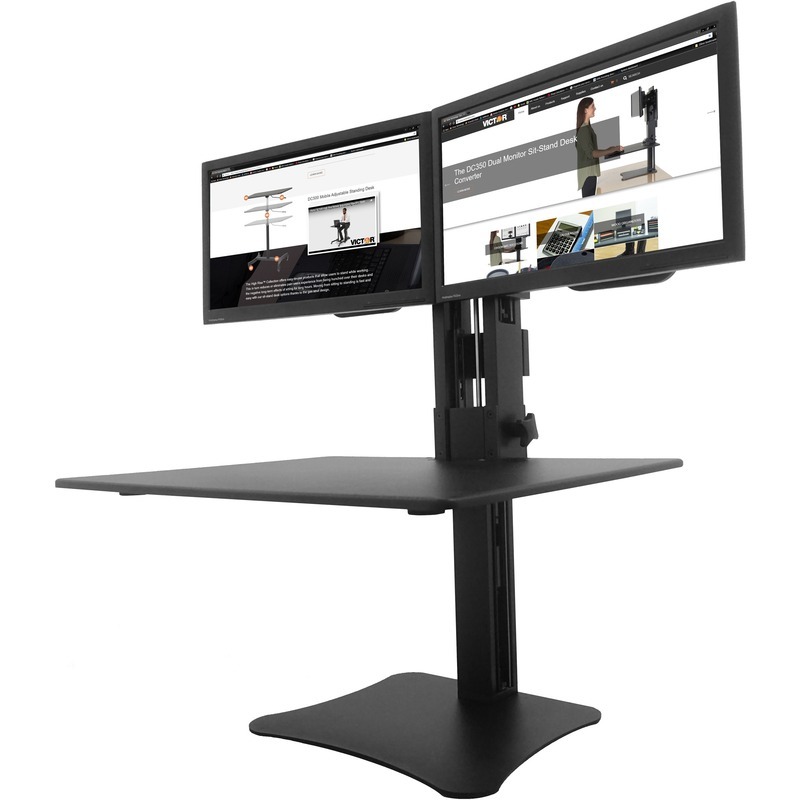 The DC350 High Rise Dual Monitor Sit-Stand Desk Converter is simple solution to a common workplace problem: too much sitting. Transform any sit-down desk into a sit or stand desk. It allows two monitors with a maximum width of 22" each (24" diagonal). Gas strut design allows easy custom height adjustment of both desk and monitor from zero to 15-1/2". Worksurface with sleek wood construction and durable laminate coating lowers to become flush with desktop level. Extra-large worksurface provides plenty of room for accessories. Heavy steel base prevents tipping. Riser has a no clamp so it offers a damage-free design.